Laboratory accreditation, a means of determining the technical competence of a laboratory to perform specific activities, allows clients to identify reliable, high-quality testing services. Benefiting the laboratory as well as the client, accreditation provides a benchmark against which a laboratory can measure its competence and identify areas for improvement. First established by a presidential decree in 1996, EGAC, housed under the Ministry of Trade and Industry, became the sole accreditation body in Egypt when the decree was modified in 2006. EGAC has since functioned as a separate independent entity, both at the administrative and technical levels, to address quality and standards for all industries in Egypt. As decreed by the Minister of Health and Population, EGAC is responsible for the accreditation of medical laboratories in Egypt. While increasing awareness of the benefits and importance of accreditation has been an arduous feat, there has been remarkable progress in recent years. In 2012, to encourage accreditation, the government limited medical insurance coverage to only accredited medical laboratories. As a result, today medical laboratories only receive medical insurance through the government if they are ISO 15189 accredited. Funding from the European Union further aided in the campaign for accreditation. A twinning project called, “Building the capacity of the Egyptian Accreditation Council to deliver accreditation services” engaged the British Standards Institute (BSI) and the Swedish Board for Accreditation and Conformity Assessment (Swedac) in assisting EGAC in training assessors, the number of whom has doubled as a result of overwhelming interest in accreditation by laboratories throughout the country. Nine medical laboratories have already been accredited and nine more have applied, including government and university laboratories. “Since the founding of the EGAC, medical laboratory practices have evolved within Egypt, becoming more and more standardised”, says Eng. Rezk. 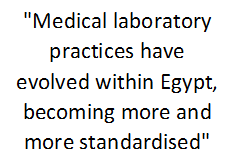 By lobbying to improve standards in laboratories and disabuse the public of a falsely held belief that quality healthcare comes at higher costs, EGAC has gradually succeeded in improving the state of Egypt’s laboratories. 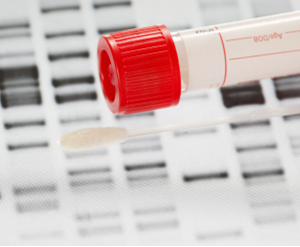 Through pursuit of accreditation, laboratory professionals are learning to standardise their practices, resulting in more reliable test results. This notable outcome of accreditation has a positive impact of the sometimes-fragile relationship between laboratory staff and patients and physicians. With an increasing awareness in the importance of laboratory accreditation and its impact on healthcare, the international stamp of approval not only offers laboratories a competitive edge, but also garners them greater respect from technicians, physicians and patients.